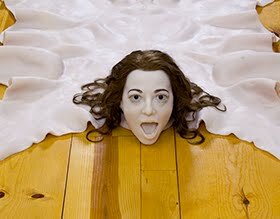 If It's Hip, It's Here (Archives): Eastern Eggs. 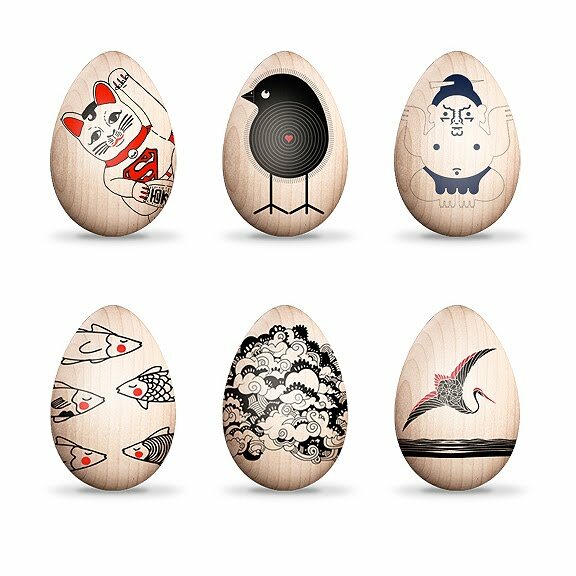 Artist (& Robot) Decorated Wooden Eggs Whose Proceeds Aid Japan. Eastern Eggs. 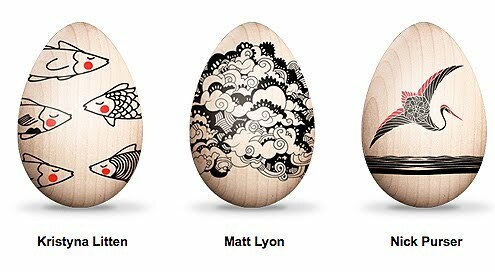 Artist (& Robot) Decorated Wooden Eggs Whose Proceeds Aid Japan. 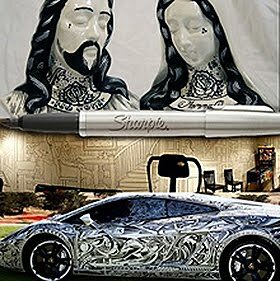 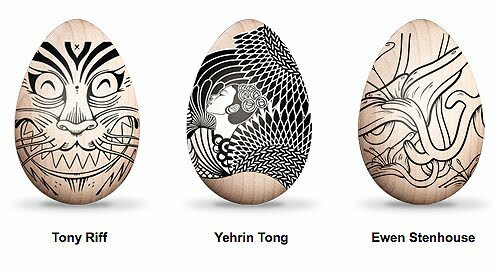 A few weeks ago, I introduced you to the Egg-Bot, a robotic kit that, with the addition of a fine point Sharpie or similarly sized pen, will decorate Easter eggs (or anything round, cylindrical and small) with art, design, words or logos for you. 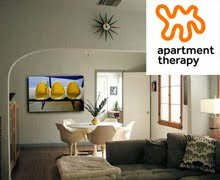 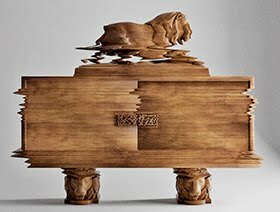 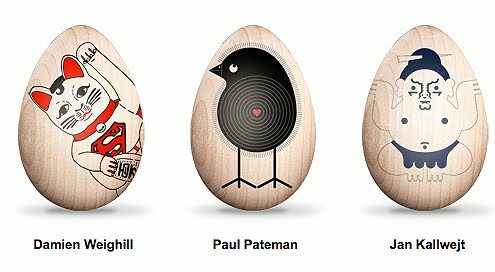 Now, that very concept is being put to good and beneficial use by TBWA London who has created Eastern Eggs, an online site/ store selling wooden eggs decorated with the Egg-bot by various artists, with a portion of the proceeds going to Red Cross - Japan Tsunami Appeal. 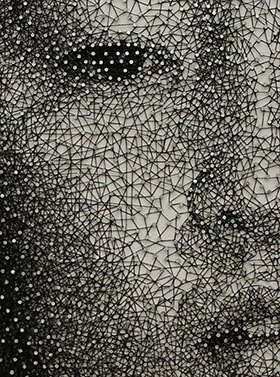 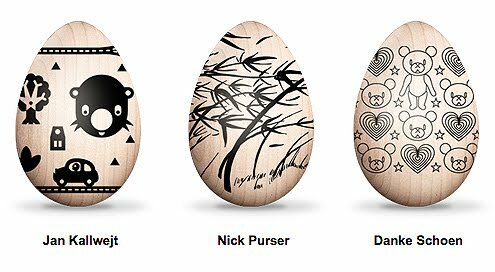 Eastern Eggs features your choice of 14 different eggs, each illustrated by one of the following artists: Danke Schoen, Damien Weighill, Paul Pateman, Jan Kallwejt, Kristyna Litten, Matt Lyon, Nick Purser, Shin Tanaka, Tony Riff, Yehrin Tong or Ewen Stenhouse. 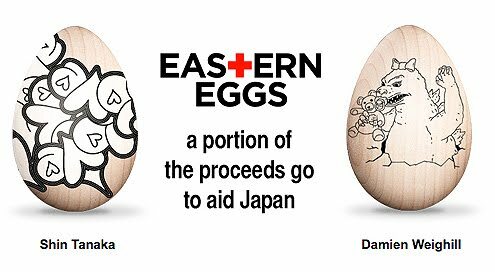 The suggested donation price is £10 for the eggs, £8 of which will go to the British Red Cross to aid Japan.